Dr. Christopher A. Nacrelli, D.M.D. Dr. Heather R. Boyle, D.M.D. Dr. Christopher Nacrelli is a graduate of The University of Pittsburgh School of Dental Medicine. He is a member of The Kent/Sussex Dental Society, and a life-long member of The Delaware State Dental Society. Dr. Nacrelli has created an office equipped with the latest dental technology, and he continues his education to stay current with the most advanced dental techniques and procedures. He has practiced in this location in Dover for over 30 years! His experience and fun personality will make even the most apprehensive dental patient feel right at home! Dr. Heather Boyle is a graduate of The University of Pennsylvania School of Dental Medicine. She is also a graduate of Bucknell University where she received her B.S. in Biology. Dr. Boyle completed a General Practice Residency at Christiana Hospital and Wilmington Hospital. Dr. Boyle is a member of The Kent/Sussex Dental Society, the American Dental Association, as well as the Delaware State Dental Society. Dr. Boyle is a native Delawarean, and plans to continue the tradition with her family. 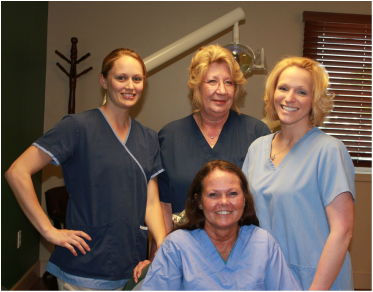 Dr. Boyle's upbeat personality and attention to detail make her an excellent practitioner.